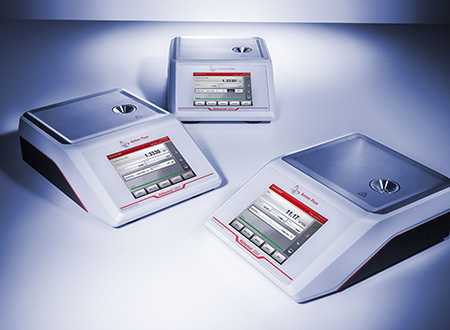 Measure the refractive index and concentration of liquids, gels and solids using laboratory refractometers from Anton Paar – the universally applicable and user-friendly Abbemat series. 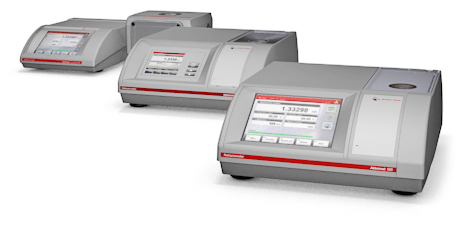 Simply take your pick depending on the accuracy, temperature range and level of automation you require - you can be sure to find a digital refractometer model to suit your application and budget. 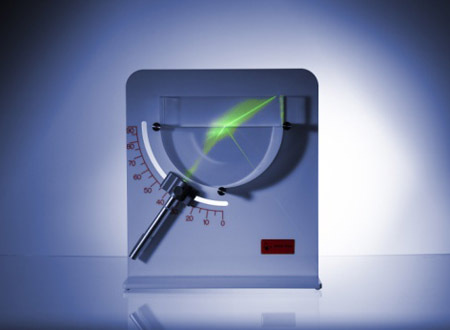 Abbemat refractometers determine the refractive index with an accuracy of up to ± 0.00002 nD, within a measuring range of 1.26 nD to 1.72 nD and a temperature range from 4 °C to 125 °C. The high accuracy of up to ± 0.03 °C is achieved by precise internal Peltier temperature control. The optical bench is sealed and temperature-stabilized to protect it from outside influences. 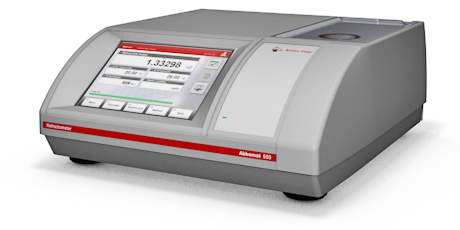 With its sophisticated software features like acceptance limits for quality control, user management and user-definable data reports, the Abbemat refractometers can be adapted to every measuring task. 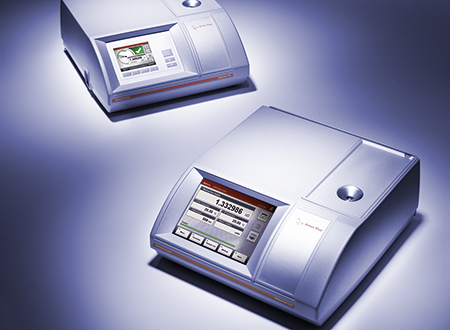 All Abbemat refractometers offer a wide range of preprogrammed methods. 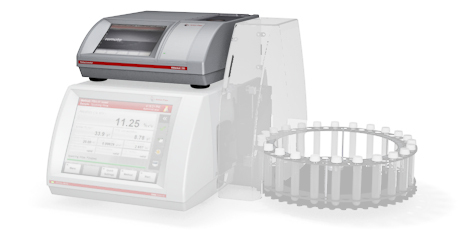 Optional accessories for volatile samples, small sample volumes or solid samples simplify your daily work. 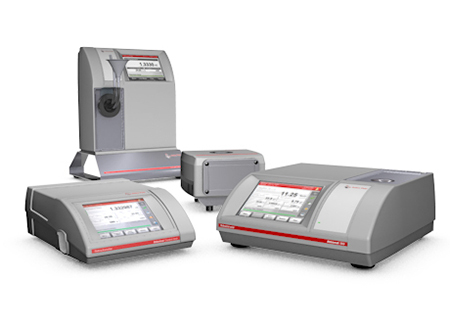 If you want to measure density, optical rotation, viscosity or pH alongside refractive index, the Abbemat refractometers can be combined with further Anton Paar instruments. 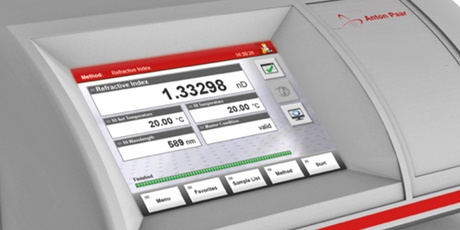 You can measure different parameters at the same time and thereby save time and sample. For easy data handling, the results are recorded in one report. 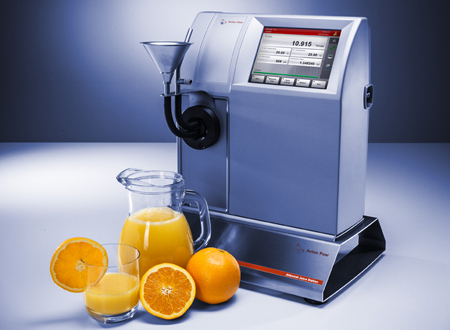 Anton Paar’s Abbemat refractometer series ranges from the straightforward Abbemat 3X00 series for routine analysis to the sturdy Heavy Duty line for measurements in harsh environments. 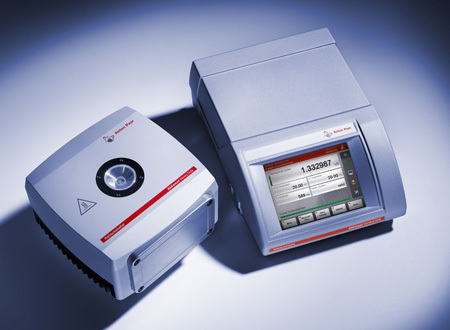 Alternatively, the Performance line is ideal for quality control on a large number of samples. The Performance Plus line is designed for research and development as well as demanding quality control applications. Depending on the accuracy, temperature range and level of automation you require, a model is available to suit your application and your budget. The Abbemat software meets the requirements of the pharmaceutical industry with features like the Audit Trail, electronic signature and user management. 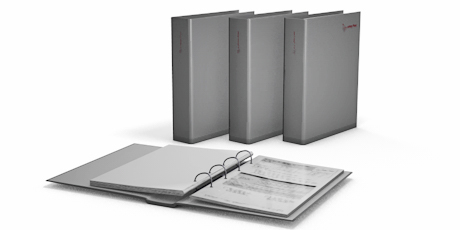 With a Pharma Qualification Package, your new Abbemat is quickly integrated into your workflow. This saves you time and money. 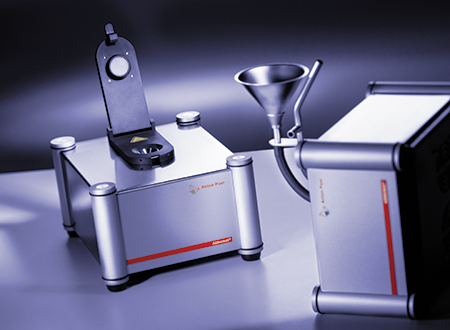 To complete your validation process, the Abbemat T-Check calibrates and adjusts the surface temperature of the measuring prism for precise and fully traceable results.